Typically, an adult needs eight hours of sleep a day, although this decreases with age. It’s important to address the cause of insomnia. Insomnia is best managed by treating the underlying causes rather than using medications. Insomnia affects 20-40% of adults, with women being affected twice as much as men. About 50% of the population reports some sort of sleeping disorder in a year and up to 25% report having trouble falling asleep. Advancing age is said to be associated with less sleep, however, the total amount slept is of a low quality since it becomes interrupted. Insomnia is more reported in older people and more prevalent in females. 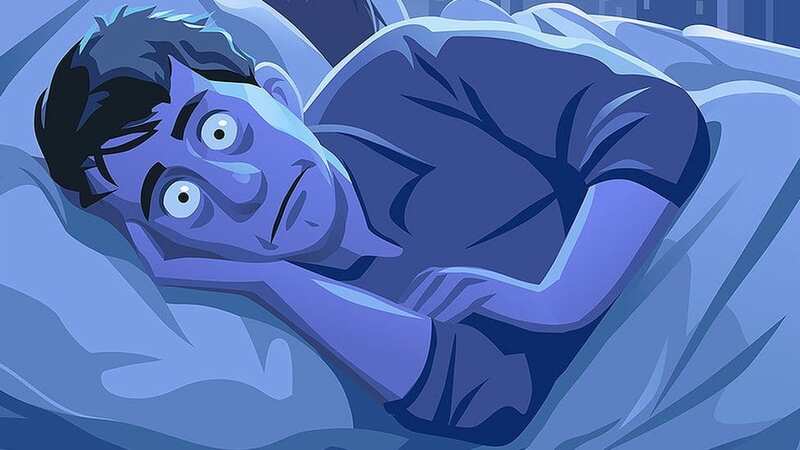 Insomnia is defined as difficulty falling or staying asleep, or a sensation of unrefreshed sleep, and is of transient (2-3 days), short term (< 2-3 weeks) or chronic (> 3 weeks) nature. Insomnia symptom patterns include sleep-onset insomnia (difficulty falling asleep, more common in younger people), frequent nocturnal awakening (difficulty maintaining sleep, more common in older people), early morning awakening (with difficulty getting back to sleep), and difficulty functioning in the daytime due to poor sleep. Physical e.g. organic illnesses, pain, respiratory distress, coughing, nocturnal micturition, distended bladder due to prostatic hypertrophy, discomfort associated with a spastic colon, leg cramps in older patients, osteoarthritis, aging, pregnancy. Physiological e.g. the environment, such as noise, altered work patterns, travel. Psychological e.g. emotional causes, such as stress, anxiety and depression, fear of the dark. Latrogenic, e.g. use of medications such as bronchodilators, diuretics, decongestants, caffeine and other simulants, alcohol, and poor sleep hygiene. Initial insomnia e.g. trouble falling asleep. This is common in mania, anxiety, depressive disorders, and substance abuse. Middle insomnia e.g. waking up in the middle of the night. This occurs in medical conditions such as sleep apnoea and prostatism. Early morning insomnia e.g. waking up in the early morning hours. This can be caused by depressive illness and malnutrition. Sleep disturbances are often symptoms of underlying anxiety or depression making insomnia a symptom rather than a disorder. It is also known as disorders of initiating and maintaining sleep (DIMS). Diagnosing insomnia is difficult, as it is a response to a subjective need expressed by the patient. Careful inquiry about sourcing the cause (physical, physiological, psychological, or iatrogenic) should be noted. Insomnia of recent onset is most commonly due to anxiety associated causes. Insomnia is best managed by treating the underlying cause(s) rather than using medications. Pharmacological treatment should be aimed at being administered for the shortest time, at the lowest dose. All sedative hypnotics have the risk of habit forming, tolerance, and dependence. The patient should therefore be carefully monitored for signs of misuse and adverse effects. Withdrawal of some types of hypnotics can also lead to temporary recurrence of insomnia. Hypnotic medications should be prescribed in limited quantities and patients should be encouraged to do without them as soon as possible.